This week, I’ll continue with some tips and tricks on how to pronounce the Swedish vowels, and next up is the Swedish vowel I. Are you unsure of when to use the time prepositions i, på, and om when describing when, for how long or how often something happens? You are not alone. In this week’s blog post, we’ll dive into the murky waters of time prepositions, and look at the categories of Point in Time, Time Duration and Frequency, as they will dictate when you use i, på and om. When you want to say something about when something will happen or happened, you want to refer to a Point in Time. And you have two options. Either you want to talk about something will happen in the future, or you want to talk about something that happened in the past. If you want to up the frequency, just change en gång to två gånger (twice), tre gånger (three times), fyra gånger (four times), and so on. Same thing here, if you want to up the frequency, just change en gång to två gånger (twice), tre gånger (three times), fyra gånger (four times), and so on. Also notice that the time unit takes definite form: dagen, månaden, året, and so on. 1 (När?) Johan ska åka till Grekland _______ två veckor. 2 (När?) Lisa var i New York _______ tre månader ________. 3 (Hur länge?) Sarah har studerat svenska _______ 3 år. 4 (Hur länge?) Jag har inte träffat min kusin ______ 5 år. 5 (Hur ofta?) Scott brukar åka på semester två gånger ______ året. 6 (Hur ofta?) Paul tränar på gymmet fyra gånger ______ veckan. 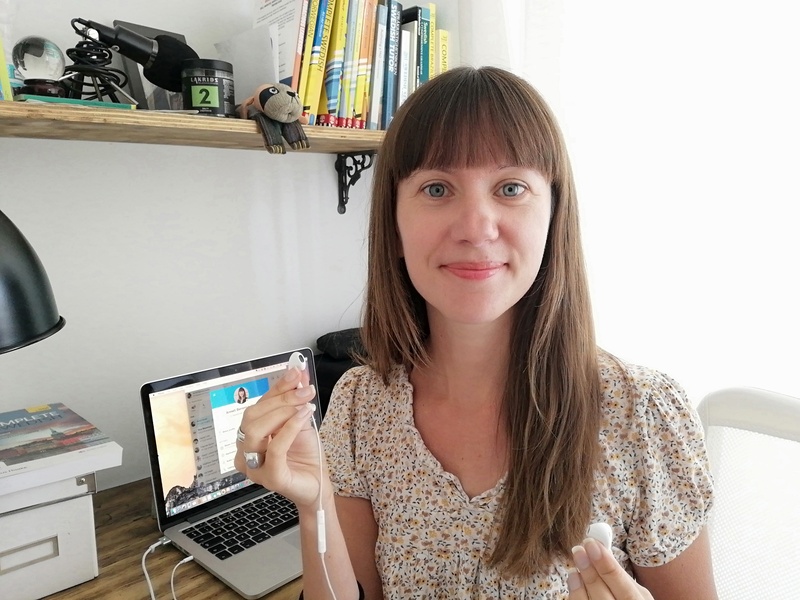 Today, I’m presenting some tips on how to pronounce the Swedish vowel E.
This vowel can be tricky because for an English speaker, the natural instinct is to treat it like the English ‘ee’ (like in for example ‘bumble-bee’). But the Swedish E is lower, and finishes off with a slight A-sound in the very end (at least the accents found around Stockholm and Uppsala on the East coast). The best way to find the right sound, is to say the English word ‘ear’, but to remove the ‘r-sound’ in the end: ‘ea’. Check out the video below to also find out how to pronounce the short version of E.
The Swedish language is relatively vowel-rich. The pronunciation of these vowels can prove a challenge when you are learning Swedish. Therefore, I will post some tips and tricks on how to say the Swedish vowels they way you say them in the alphabet, and I’m (unsurprisingly) starting with the Swedish vowel A. The thing to remember with A is that it is very long. For English speakers, it usually helps to make the same sound as when saying the English letter ‘r’, but to remove the ‘r-sound’ in the end and only keep the long ‘ah’. Another way can be to visualize the sound you have to make if a doctor examines your mouth and throat. The doctor usually places a spatula on your tongue, and asks you to say ‘ah’. Finally, it is important to remember to drop your jaw properly, which makes the A deep and long. Check out the video to find out how to pronounce the short A-sound. 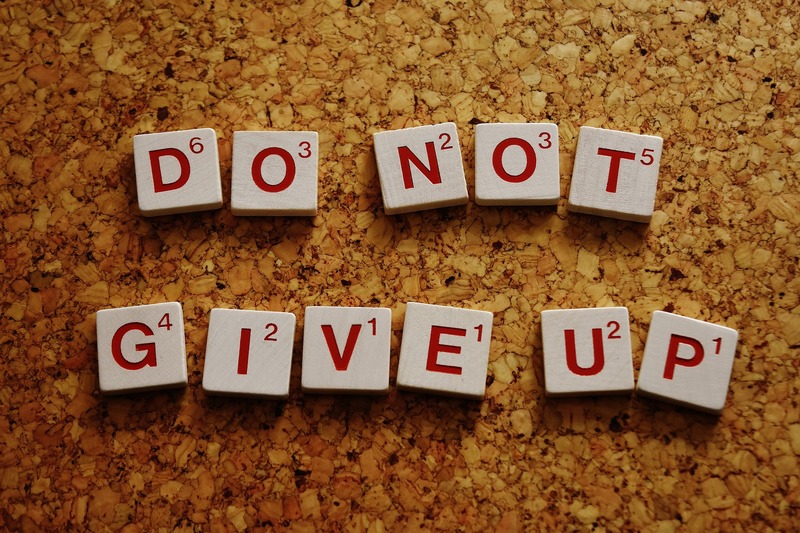 One of the most difficult aspects of learning a language is keeping up your motivation. So many of my students go through patches of lacking in motivation, and when you do it is easy to fall out of routine altogether, coming up with reasons not to learn (too much on at work, not enough time, etc), and the learning process might even grind to a halt completely. In this blog post, I wanted to talk a bit about motivation and give you some hands on tips on how to stay motivated. 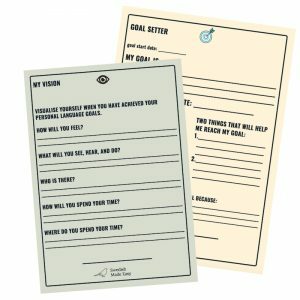 You can also download our free Motivation Builder (Goal Setter and a Vision setter), to spark your motivation at the end of this blog post. Internal motivation is basically enjoyment. It is the satisfaction of making progress, enjoying the learning journey, feeling curious and open, enjoying learning new pieces of information, feeling satisfied when understanding something tricky. External motivation is some kind of reward, which could be real or symbolic. It could be achieving good results in a test, it might be the prestige in being fluent, or the rewards in being able to communicate with extended family and friends perhaps. The issue with external motivation is that it can lead to a situation where learners are learning even though they don’t actually enjoy it. It is therefore better to focus mainly on making sure your internal motivation is nice and strong! How can we work on our internal motivation? Also try and associate learning Swedish with your favourite activities and places. Put a Swedish podcast on when you’re running, for example. Watch movies and tv series in Swedish. Look at youtube for Swedish clips. Go to sr.se (Swedish radio) and listen live or download a podcast. The channel P1 is news, current affairs, debates and culture. P2 is classical and jazz music. P3 is pop music and programmes for a younger audience. P4 is local radio stations. It’s worth checking out the programme Klartext, which is a daily news bulletin in easier Swedish (shorter sentences, reduced vocab). There is also a brilliant app for smartphones, called SR Play. You need a holistic and realistic view of the learning process. Many language learners start out with high hopes for achieving fluency fast, but their enthusiasm quickly dips when they find themselves making the same mistakes again and again, and maybe speak in an (often self-perceived) embarrassing accent. Language-learning errors are not a negative reflection on your intelligence! Instead, learn to love your errors. They are your friends, they bring you step by step closer to fluency and confidence. Smile, and learn from them. Was it to be able to speak more with colleagues at work? Or with your in-laws? Or to be able to at some point move to Sweden? Or to be able to speak like Saga Noren in The Bridge, just because it’s a cool thing to be able to do? Or because it’s cooler and more unusual than just learning Spanish or Mandarin? Remind yourself now, maybe even write yourself a little e-mail to yourself with http://m.futureme.org/ to remind yourself in 6 month’s time. The thing with learning in general, is that it’s hard to sense progress. This is because of something I call “Moving Goal Posts”. Just as you have mastered one grammatical aspect and feel quite pleased about that, you turn a page and realise a whole damn new section that you didn’t even know before! The goal post is constantly moving. As Einstein himself said: “the more I learn the more I realise how little I know”. This is completely as it should be, it’s part of learning. However, what is worth doing, is to capture your level at certain points, so you have something to compare with. If you are following some kind of course, this will probably be included anyway. Writing exercises that you can look back at in 3 months time. Why not make a short audio recording on your mobile phone or computer? No one needs to know, but you can go back in a year’s time and see how much you have progressed. I know it may seem sloppy or disorganised somehow in our society to not have a schedule, we are extremely goal oriented as a society. The problem is that having a too strict schedule can make learning a language into a chore. Chores = boring = less internal motivation and less likelihood to succeed. Learning a language is a bit like going to the gym. You won’t notice immediate effect, and you’ll have good days and bad days. You can’t just work out like mad for 6 months and then go couch potato for 2 years and expect the same level of fitness throughout. But if you work on it regularly, you will notice a difference over weeks and months. Expecting quick improvements is to expect too much from your brain, it’s simply unrealistic. Learning a language is more like a marathon than a sprint, and remember that a flood is made up of raindrops! Download our free Motivation Builder to get your motivational flow going! 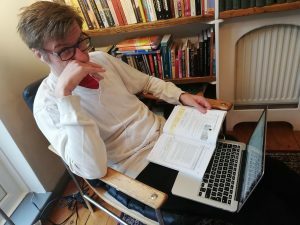 What can I expect from a Swedish lesson? What are lessons with Swedish Made Easy like? How do we work, and what material do we use? 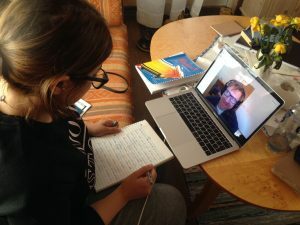 How can you best prepare for your Skype lesson? In this blogpost we’ll look at what lessons with us usually look like. Sometimes, some of these areas may be given more focus than others, but generally we balance our teaching between these aspects. We also focus on all 4 core skills (speaking, listening, reading and writing), and we can cater for all levels (from A1 to C2). We can also focus on very particular aspects, if a student needs to, such as writing CV’s, preparing for job interviews or presentations, or a specific core skill that needs extra attention, for example speaking confidence or pronunciation. We generally use course books like Rivstart, Form i fokus and Teach Yourself Complete Swedish. Click here for a list of the course material we tend to use. It is important that you do your homework before the next lesson, if you want to progress your Swedish. It is of course fine to not do any homework, but you then need to accept that your progress will be significantly slower. This is why we always recommend getting used to doing homework after every Swedish lesson. This is the way for you to get more for your money! Interaction and contact are at a premium if you’re self-teaching, so try to stay focused to make the most out of your paid lessons. You need to send your homework to your teacher before the next lesson. We encourage students to write their homework into template documents, which you will get access to when you start with us. After every third chapter in the course book Rivstart, you will do a diagnostic test to make sure you are ready to move further. Make sure that your internet/wifi is quick enough and any IT equipment is working (headphones, computers, iPads, etc). Ideally have a Plan B if something stops working. Make sure you are in a space where you can concentrate. It’s ok to sit in a space where there are others around, but please make sure they don’t interrupt the session! No matter where you are at in your journey with language tutors, these five tips are going to make your life better and easier when you’re working with a language tutor. Ask advice, they’re an expert! Be realistic about the time it takes to learn Swedish to different levels (see our other blog post about this). You cannot become fluent in a couple of months. Many students ask how long it takes to learn Swedish. We have previously written a longer blog post about it, but we have now also worked out a little rough guideline to how many hours it usually takes to reach each language level. This is a very rough estimate, and can vary considerably between individuals, but it may at least give an idea of what to expect. Let’s start by being honest and say that you will not be able to become fluent in Swedish in 1 or 2 weeks. Anyone claiming that it is possible, is simply lying. Language learning is a long process – a bit more like a marathon than a quick sprint. Be wary of claims that you can learn a language fluently in x days/months, there are no miracle methods. If it sounds too good to be true, it probably is. How long it takes to learn Swedish will depend on a number of factors. 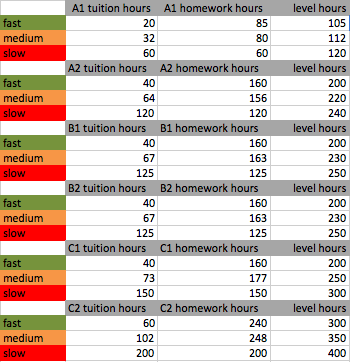 Some of them are individual learning pace in general, previous knowledge of grammar (those with much knowledge tend to progress faster), how much homework the learner is able to do between lessons (faster if more homework), and also if the learner has any particular areas that they find challenging. The calculation below is based our students and how long people in general spend to reach each level. It takes into account whether the student is a slow, medium or fast learner, and also on how much time the learner spend doing homework and other things outside of the lessons. The more hours you spend learning outside of the tuition hours, the faster you will progress (and it will be cheaper for you too!). The calculation is also roughly correlated to the guided learning hours according to Deutsche Welle for German, Cambridge English Language Assessment for English, and Alliance Française for French. The ‘slow’ number is in our opinion longer than most people need. It is quite common to be somewhere between fast and medium. Our fastest student reached level A1 after only 17 hours tuition on Skype! But some students have needed at least double the time. 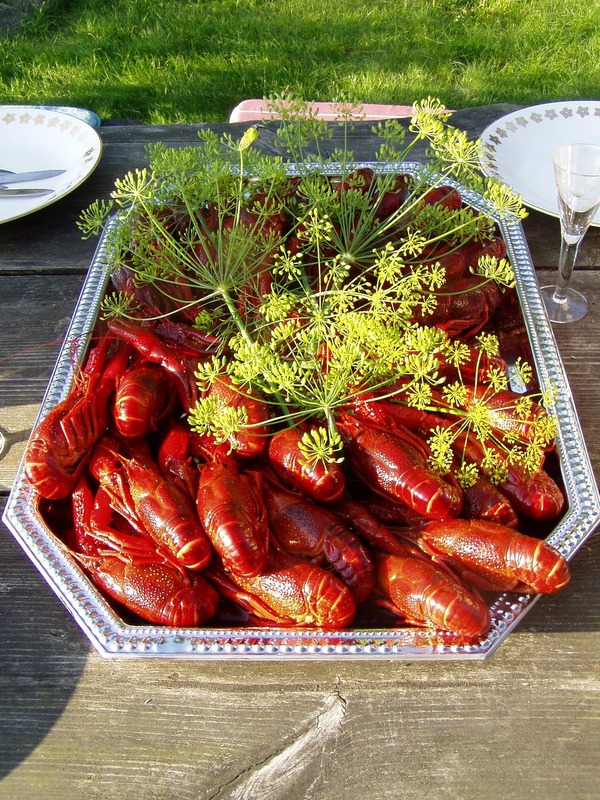 August is the season for kräftor crayfish in Sweden. But how did this tradition start in Sweden? What does it entail today? And what are some useful phrases for a traditional kräftskiva crayfish party? In Sweden, we have been eating kräftor for many hundreds of years. Earlier, it was mainly considered food for the upper classes, and it wasn’t until late 1800’s and early 1900’s that it became more widely popular in Sweden. 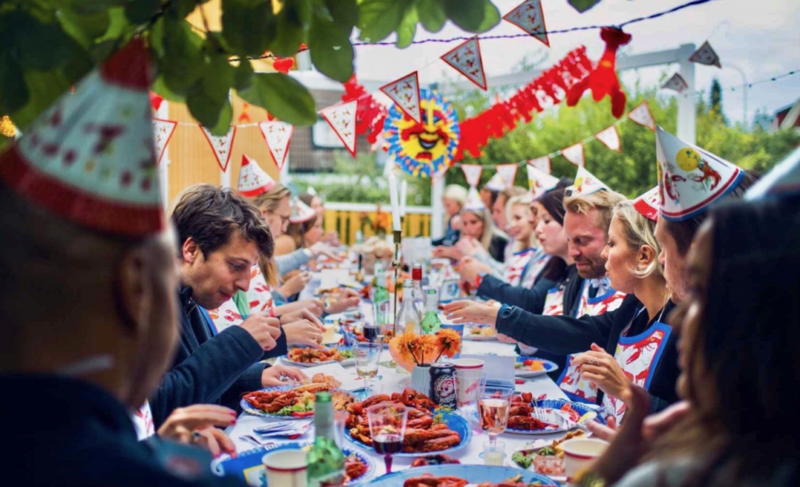 About 100 years ago, the idea of kräftskiva crayfish party started to become firmly established. Kräftor has become associated to the month of August because of legislation. Since the Swedes ate large amounts of crayfish, it led to the introduction of legislation in terms of when it was allowed to fish for crayfish. In late 1800’s for example, it was not allowed to fish for crayfish throughout June and July. In the past decades, legislation has become more relaxed again, and there are no strict dates or times for crayfishing any longer. But since it has been associated with August for so long, it is still customary to begin the ‘crayfish season’ (to eat crayfish and to have crayfish parties) in early-mid August. In Sweden, there are two species of freshwater crayfish: flodkräftan and signalkräftan. Flodkräftan is from Sweden, whereas signalkräftan has been introduced into Sweden and does not originate from Sweden. 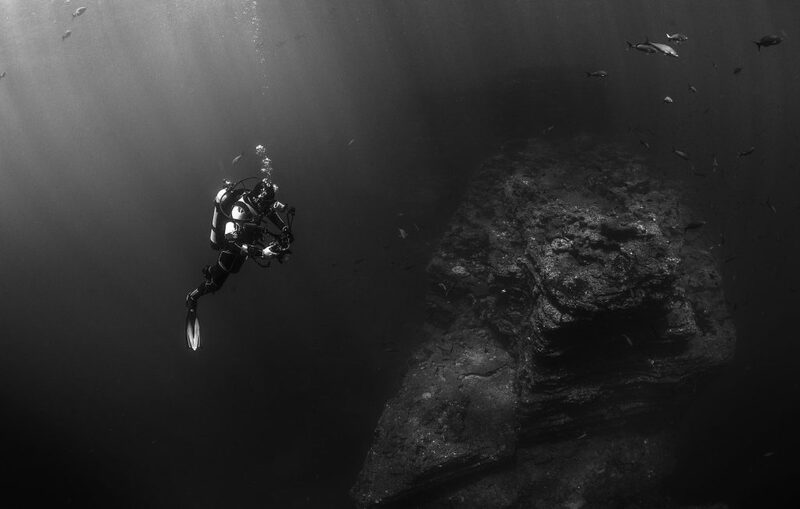 They live in shallow waters where they build holes next to stones and roots. As a private person, you are not allowed to fish for crayfish anywhere you like. Only Lake Vättern is actually open to the public. In other waters around the country, you will need some kind of license (unless you are lucky enough to be the owner of the lake!). On the West Coast, people tend to eat havskräftor – which is more like a langoustine. Kräftor are nocturnal animals, and are therefore caught at night. 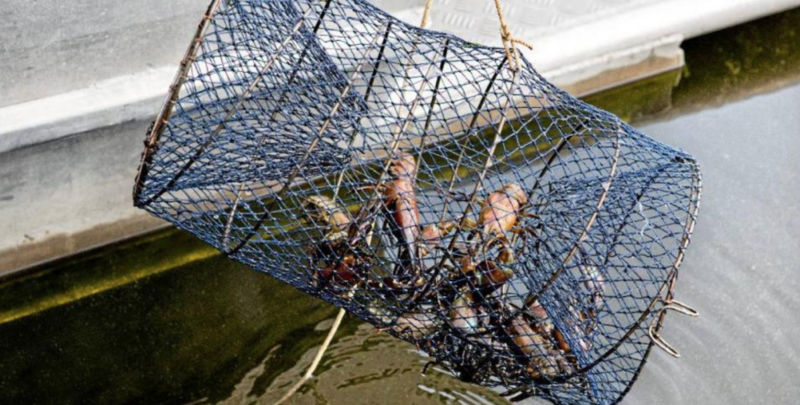 The most common way to catch them is by putting out special netted crates on the lake bed and fill them with fish, so that the crayfish are lured inside. It is said that you should minimise the suffering of the crayfish by putting them head first into boiling water, so that they die more quickly. You can also buy them from most supermarkets throughout August. The typical kräftskiva is a party where we eat crayfish and other foods, sing songs and drink (usually quite a lot). The crayfish are cooked whole in salted water accompanied with dill, other herbs and sometimes also beer. This is accompanied with baguettes, knäckebröd, herb-infused cheese, prawns, and often västerbottenpaj. To drink, Swedes often opt for snaps (herb-infused vodka), beer and soft fizzy drinks. It is quite common to sing songs when drinking snaps. It is also common to wear special paper hats and bibs with a crayfish motif, and use serviettes with images of crayfish. 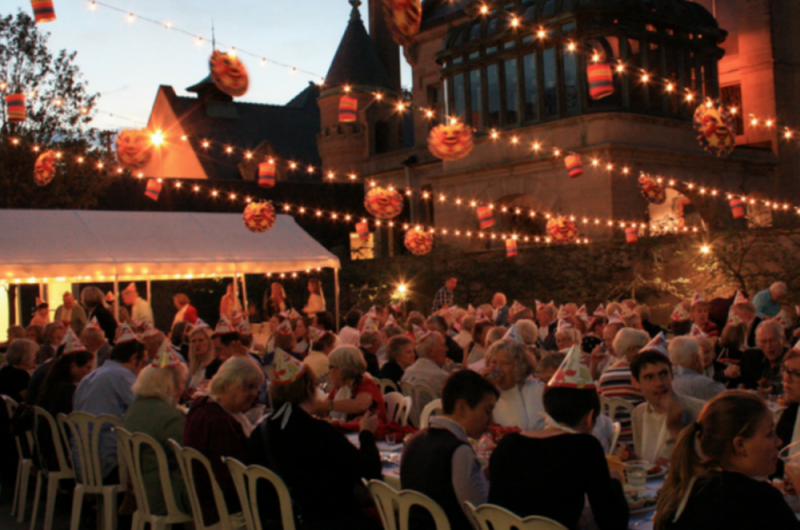 Lanterns, bunting and candles often accompany the scene of a kräftskiva. A word of caution…. Crayfish takes some time to eat (because of the challenge of cracking the shells) and the combination of slow eating and drinking snaps can mean a high likelihood of getting drunk quickly! Remember you don’t actually have to empty the snaps every time, even though some Swedes might try and insist on it. Åh vad gott det var! Oh it’s really tasty! Kan jag få…? Can I get…? Kan du skicka…? Can you pass me…? Jag är mätt. I am full. Jag är full. I am drunk.